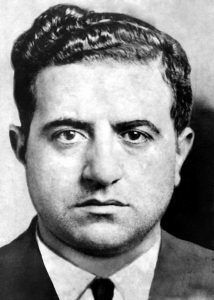 Louis “Lepke” Buchalter was put in charge of, what the press called Murder Inc., and to assist Lepke in his duties, the Commission appointed Albert Anastasia, nicknamed “The Lord High Executioner,” to be Lepke’s right-hand-man. Lepke would never give a direct order to any of his killers to do a job. 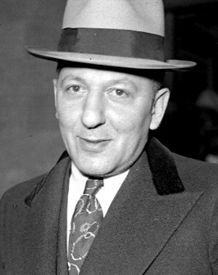 Instead, Lepke used trusted men like Mendy Weiss and Louis Capone, to issue the final order and decree to the hit men chosen. By keeping a level, or two, of insulation between himself and the actual killers, Lepke figured nothing could ever be directly pinned on him. And at first, Lepke was right, until he made one fatal mistake. The first order of business for Lepke and Anastasia was to assemble a crack hit team to do the actual dirty work. 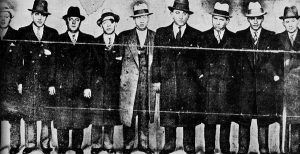 Through Louis Capone, who was close to Anastasia, Lepke had been nurturing a group of homicidal maniacs, some of whom would rather kill than breathe the cool fresh air of Brooklyn. These killers were called “The Boys from Brownsville.” The Boys from Brownsville were hardly the only killers employed by Murder Inc., but they were the foundation which led to as many as 100 freelance assassins being put on a steady weekly salary (of $125 and up), to be ready to kill whenever an order was given. These men were sometimes paid extra for a job especially well-done, and they were allowed to operate in designated territories in the gambling and loansharking businesses, or in any illegal operation, like hijackings, and even kidnappings. But one thing is for sure: even if a member of Murder Inc. didn’t kill anyone for a month, or two, or three, his killing salary came in steadily every week. The first and foremost turned out to be the biggest headache for Lepke: Abe “Kid Twist” Reles. By eliminating the three Shapiro brothers, Meyer, Irving, and Willie, Reles along with his childhood pal Martin “Buggsy” Goldstein, took over all the illegal rackets in the Brownsville section of Brooklyn. 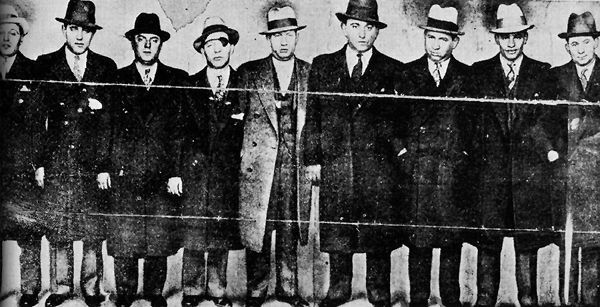 To do so, Reles enlisted the help of Harry “Happy” Maione and Frank “Dasher ” Abbandando of the neighboring “Ocean Hill Hooligans.” Soon, such cutthroat killers like Harry “Pittsburgh Phil” Strauss, Vito Gurino, and “Blue Jaw” Magoon were taken into the fold, and the Boys from Brownsville were a formidable group of killers indeed. The key for their transition from Brownsville to the big time was Louis Capone, ostensibly a Brooklyn restaurateur, who was very close to Albert Anastasia.